BEIJING, March 1 (Xinhua) -- Members of the Chinese People's Political Consultative Conference (CPPCC) National Committee have started to gather in Beijing for the top political advisory body's annual session, which is scheduled to open Friday. Political advisors from central China's Henan Province were the first to arrive on Wednesday. On Sunday, the National People's Congress (NPC), the top legislature, will also convene its annual session. Dubbed the "two sessions," the dual gathering is significant in China's political calendar as it sets the national agenda for the year and beyond. This year the meetings carry extra weight as they are the fifth and last sessions of the 12th NPC and the 12th CPPCC National Committee. At the parliamentary assembly, legislators are expected to deliberate a draft decision on deputy elections for the 13th NPC, and draft methods for the election of deputies to the 13th NPC from Hong Kong and Macao special administrative regions. The two sessions are also the first high-profile national political events held since President Xi Jinping was endorsed as the core of the Communist Party of China (CPC) Central Committee at a key CPC meeting last October. Pledges to conform to the CPC Central Committee with Xi as the core are expected to feature significantly. "The CPC needs a strong core of leadership. Otherwise, it will have no cohesiveness or competence to lead all manners of undertakings. The endorsement of Xi as the core has come naturally, with the backing of the entire Party and the people," said Xin Ming, a professor with the Party School of the CPC Central Committee. Much of the focus during the March sessions will center on the economic front, as in previous years, with a government work report to be delivered by Chinese Premier Li Keqiang to confirm the country's growth targets for the year. China registered 6.7 percent GDP growth in 2016, a nearly three-decade low, amid concerns over weak growth momentum in major economies, rising trade protectionism, domestic debt overhang, excess capacity and a highly leveraged property market. However the growth rate was within the Chinese government's target range and outpaced most other major economies, scotching rumors of a hard landing. Although no official target for this year will be available until the opening of the parliamentary session, China has targeted average annual growth of more than 6.5 percent during the 13th-five-year plan (2016-2020). Explaing the plan to a key Party conference in late 2015, President Xi Jinping said maintaining an average annual growth of at least 6.5 percent was necessary to reach the target of doubling GDP and per capita income from 2010 levels by 2020. The target is crucial for China to attain its two centenary goals: becoming a moderately prosperous society in all respects by 2021, the 100th anniversary of the CPC, and a modern socialist country that is "prosperous, strong, democratic, culturally advanced and harmonious" by 2049, the 100th anniversary of the People's Republic of China. "I see 2017 as showing considerable continuity with 2016. Growth will continue to be fueled primarily by the increasing importance of consumption as opposed to investment, and services as opposed to industry," said Nicholas R. Lardy, senior fellow at the Peterson Institute for International Economics. With the CPC set to hold its 19th National Congress in Beijing in the second half of the year, stabilizing the economy will be prioritized by policymakers. A Central Economic Work Conference late last year made "seeking progress while maintaining stability" the main theme for economic work in 2017, pledging progress in supply-side structural reform. Xu Guangjian, vice dean of Renmin University's School of Public Administration, is confident in China's ability to maintain medium-high growth of 6.5 to 7 percent. "The domestic market is yet to be further tapped, the infrastructure sector has huge potential for investment and resident consumption keeps growing steadily," he said. 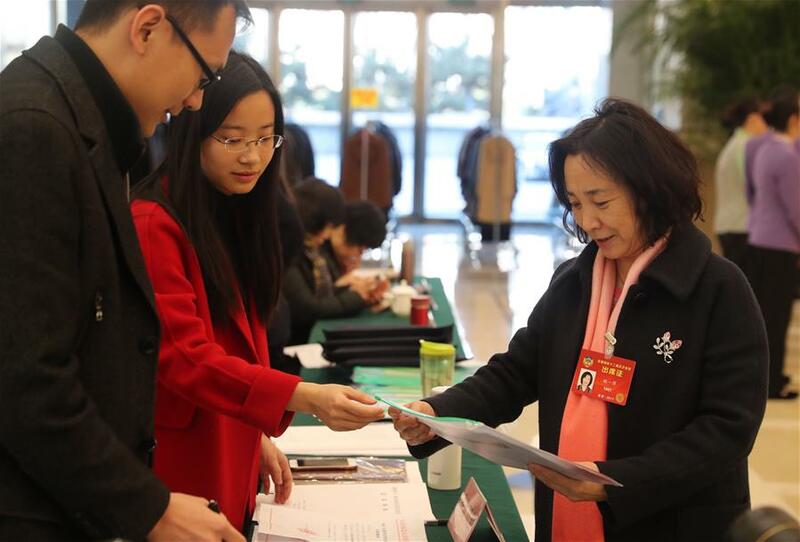 Zheng Xinye, assistant dean of Renmin University's School of Economics, suggested increasing effective supply in medical, education and housing sectors in order to meet people's needs, give people a greater sense of gain and ensure steady economic growth. For those eyeing the effects of China's economic projects on the rest of the world, the Belt and Road Initiative will be a focus. The initiative, which has yielded infrastructure projects, economic and trade cooperation zones, and jobs, is telling evidence of China's resolution to champion free trade and open markets amid increasing anti-globalization sentiment and rising trade protectionism. 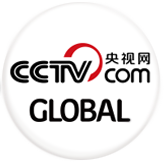 "The Initiative signals China's active participation in global economic and financial governance. Rather than a passive player in the building and maintenance of the international economic order, China has taken on responsibilities that match its economic status and national strength," Xu said. Lawmakers and political advisors will also take the occasion to review and discuss a draft General Provisions of Civil Law, which states the basic principles of the country's long-awaited civil code. The drafting of the general provisions started in March 2015. Since June last year, the draft has gone through three readings at the top legislature. During the process, many opinions and revisions have been taken on board to address people's concerns, adapt to the country's needs and embody socialist values. It is rare for a draft law or an amendment to go through three readings and not be passed. One outstanding case was the property law, which was passed in March 2007 after eight readings. The draft states that personal liberties and human dignity are protected by the law, and is expected to be approved at the upcoming parliamentary session, a crucial first step in introducing a civil code, hopefully in 2020. Since a decision to compile a civil code was made in October 2014, it has been treated as a necessary move to perfect the country's socialist legal system with Chinese characteristics, and significant in modernizing state governance. Compiling a civil code takes two steps: formulating the general provisions, and integrating separate civil laws into a unified code. "The making of the general provisions and the civil code will elevate the protection of civil rights to a new height," said Professor Yin Tian with the Law School of Peking University. "This will contribute significantly to promoting the sound development of the economy, improving state governance, and preventing state power from encroaching upon the legitimate rights of civil subjects," Yin said. Other topics at the NPC session include a state budgetary review, military spending and law enforcement. China announced a 7.6 percent rise in its national defense budget last year, the lowest growth in six years, breaking off a five-year run of double-digit increases between 2011 and 2015. The increase in 2015 was 10.1 percent.